Successfully Added Online Gaming + VoIP Noise-Cancelling Stereo Headphones to your Shopping Cart. Online Gaming + VoIP Noise-Canceling Stereo Headphones. Professional grade noise-canceling stereo headset with microphone for online gaming, VOIP, and listening to digital music. After many requests we finally have it! A new ultra-high quality head set with noise cancellation, fantastic sound reproduction, and built-in MIC with superior pick-up response. What makes this head phones better than others you may have seen before? These high performance headphones are a must have for any online gamer or anyone that enjoys chatting with their web cam or making VOIP phone calls. This head set features noise reduction technology in both the earpieces and MIC to enable you to communicate more clearly. It also have great frequency response, making your music sound the way it was meant to be heard. Finally, the headphone ear pieces are comfort padded with memory-retentive poly foam, allowing a perfect fit with maximum comfort while wearing for a few minutes or all night long. The CVSDF-9299 is a stereo headset that is worlds better than anything you could pick up in your local Wal-Mart, yet still available at a budget friendly price. Professional grade headsets usually cost at least five-to-ten times this price, making this headset a real steal at this low wholesale price, and a purchase your or your customers will be thankful for every day after! Order one set for your own personal use, then move on to bulk orders if you want to get some serious wholesale discounts that are sure to net you some serious profits in the AV resale market. Comfortable gaming headset that also makes a great music stereo headphone. 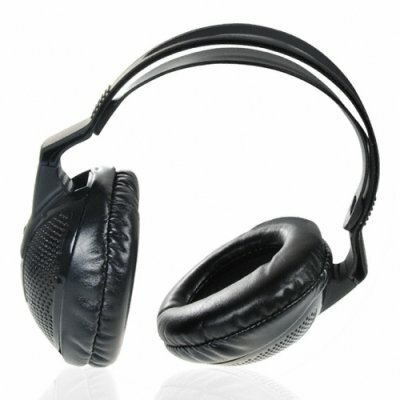 Noise reduction and sealed headphone design - the sound is so clear you will wonder how you lived without this headset.